The agenda and meeting schedule is being developed and should be available three weeks to a month before the conference itself i.e. late September/early October. 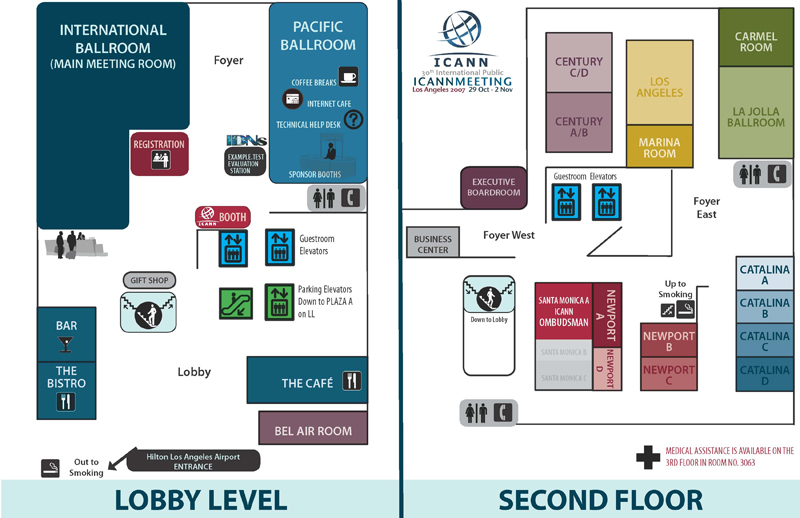 However, ICANN meetings largely follow the same formula, so here is a loose guide as to what you can expect at Los Angeles. Morning: One or two task force or working group meetings covering specific issues such as Whois, new gTLDs Afternoon:Continuation of the morning's discussions. Morning: GNSO Working Groups meetings. Possibly a closed GAC working group meeting. Afternoon: Possible a GNSO Council working meeting. Continuation of closed GAC working group meeting. Possibly a workshop. Morning: The opening ceremony, followed by the public forum. Afternoon: ICANN Workshops and Public Forums. Joint meetings between supporting organisations. Most likely GAC and GNSO. Possibly ccNSO and GNSO. Possibly ccNSO and GAC. Morning: Individual constituency meetings where different groups such as registries, registrars, and so on meet up and discuss the issues. Afternoon: GAC meeting; a workshop or two; more constituency meetings. Morning: GNSO public forum; visits by the ICANN Board to the different supporting organisations; closed GAC session. Afternoon: Continuation of closed GAC meeting; ccNSO Council meeting; one or two interesting sessions on topical matters.